Amazon is having a special for up to 70% off digital deals. It includes movies, books and apps. The books included are part of the Kindle Daily Deal that features over 25 award winning titles for up to 80% off. 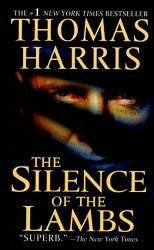 Titles include Thomas Harris’ The Silence of the Lambs ($2.99), The Caine Mutiny ( $3.99), The English Patient ($1.99) and more. Amazon is also having an 30% off accessory sale for devices that includes cables, chargers and some stunning cases and sleeves. I am tempted to get another case for my $50 fire – the look on these cases by Caseable are simply exquisite! It is also the season for year-end clearance deals. There are product from all across Amazon (electronics, computers and fashion) and discounts range from 20 to 70 percent. The Barnes and Noble Daily Find is also The Silence of the Lambs for $2.99, but the cover is different from the one on Amazon and the description says it is the 25th anniversary edition. The Romance Daily Find is Jackie Collins’ Lucky (the sequel to Chances) for $2.99. There is also a selection of top titles for up to 70% off. Kobo Daily Deal is The Remedy for Love by Bill Roorbach for $1.99. This entry was posted in Daily Deals and tagged English Patient, Jackie Collins, Thomas Harris, Year-end sales. Bookmark the permalink.